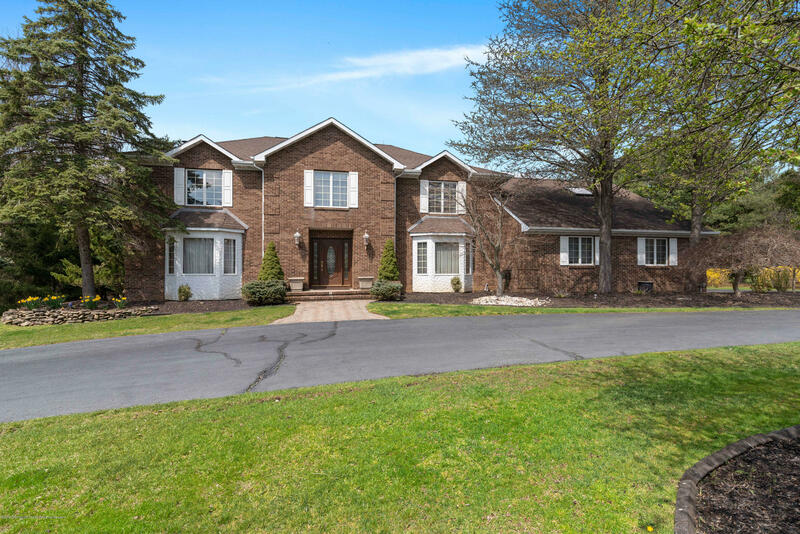 Custom Brick 5/6 bedroom Colonial with a circular drive on a quiet cul de sac. Over 4600 sq ft plus basement! Park like backyard featuring a Gunite inground pool. Kitchen includes large walk-in pantry, greenhouse window, wine rack, under cabinet lighting, wet bar, wine ref, granite counter tops, Viking dual fuel range and Kitchen Aid ref and dishwasher. Living room and dining room boasts Brazilian cherry flooring. 5th bedroom/in law suite has a full bath next to it with a private entry. All Season (Four Seasons) sun room w/skylights off the family room. Large Master bedroom w/Tray ceiling and custom walk-in closet. Bonus room off the master has a private entry and can also be a 6th bedroom. Newer master bath w/granite top, heated floor, bidet, and makeup area. Endless amount of storage!